There are moments that need to be marked and celebrated because they capture something distinctive, not unique, but distinctive about our family of churches. Our first Sovereign Grace Pastors College class was convened in September 1997. Yes, that's right, 20 years ago a context was created to intentionally train and equip our pastors. I think you will agree; this is a moment that needs to be celebrated! And we wouldn't be celebrating this moment if it were not for the leadership of C.J. Mahaney (Sr. Pastor, Sovereign Grace Louisville), who had the vision to see men trained for ministry by establishing a Pastors College similar to the model Charles Spurgeon developed. C.J. also wisely recruited Jeff Purswell who has faithfully served as the Dean of the Pastors College for 20 years. Over the last two decades, God has used Jeff's faithful leadership to equip 287 men who have graduated from our Pastors College, and to offer on-going training to our existing pastors. All of these things—all of these people—are evidence of God’s grace to us as a family of churches. 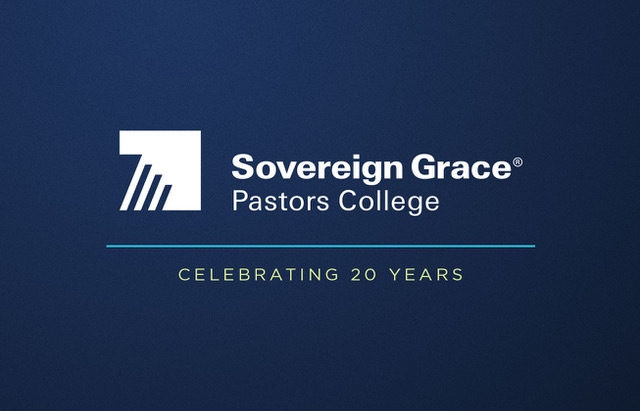 We want to celebrate 20 years of God's grace because the Sovereign Grace Pastors College plays a vital role in accomplishing our shared mission of advancing the gospel of Jesus Christ by planting and strengthening churches throughout the world for the glory of God. This extension of our mission serves the unique purpose of equipping the men who are planting our churches and serving as pastors in our local churches. And it’s possible because of the work that Jeff Purswell dedicates to train, teach and equip class after class with theological precision, integrity, and with a pastoral heart. In our 4th Quarter Mission Video, we gathered a few friends of Sovereign Grace to share their thoughts on our Pastors College. While we celebrate the work that has been done through the Pastors College, we give all glory to God. Without His grace, our work would be in vain. As we continue to train and equip men and their families for ministry, we continue to see a need for ongoing financial support. The money you give to Sovereign Grace not only goes to the planting of new churches and the strengthening of existing churches, but it also goes towards the equipping of new church planters and future pastors through the Pastors College. Would you prayerfully consider supporting our mission in Sovereign Grace? As you consider, please visit our giving page. As you take time to watch this Mission Video, rejoice with me in the grace of God that He has lavished on us over the past 20 years. And please pray that God would continue to give us grace, so that through our Pastors College more men will be equipped for ministry in the future as we continue to advance the gospel of Jesus Christ for His glory alone.